Steve Bloom is a writer and a photographic artist who specialises in evocative images of the living world. Born in South Africa in 1953, he first used the camera to document life in South Africa during the apartheid years. He moved to England in 1977 and co-founded one of London’s leading photographic special effects companies. With the use of pioneering digital techniques, he quickly built up a world-wide client base and worked on many prestigious campaigns, including the official posters for the 1992 Barcelona Olympic Games. In the early nineties, during a safari holiday, he began photographing animals, and within a short time he had swapped his established city career for the precarious life of an international travelling photographer. Steve Bloom’s concern for the environment is strongly evident in his wildlife images. He strives to capture the animal’s spirit, and blur the lines separating different species. His photographs of people reveal a compassionate understanding of his subjects, evident in his books Living Africa and Trading Places: The Merchants of Nairobi. 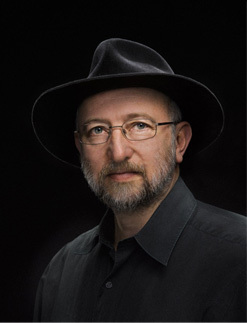 He has won international awards for his work, including The Power of Photography Award, The Golden Eye of Russia, and Lucie Awards. Numerous magazine publishers such as Life, Time, Terre Sauvage, National Geographic, Geo, Airone, and Geographic, as well as many photographic publications, have featured his pictures. His own books have been published internationally in over seventy editions. He has had a number of exhibitions, both current and in the planning stage, including large outdoor exhibitions in city centres. The free outdoor exhibitions, promoting environmental issues, are major events staged in conjunction with city authorities, and attract visitor numbers in the millions. Steve Bloom frequently reinvents his creative approach to his work. In the 1970's he pioneered the process of morphing images into each other, long before such techniques became popular on the computer. His work in Apartheid South Africa, poignant and edgy, reveals the alienation of a country on the cusp of change; placing Bloom among the select few photographers who caught the mood of the time. He was exiled from South Africa for thirteen years as a result of those photographs, and settled in the UK in 1977. In 1980 he converted monochrome pictures of Britain's holiday camps into highly saturated colour images which were printed in layers as unique Cibachromes and exhibited in London's Photographers' Gallery. His venture into animal photography was a continuation of his exploration of different genres of photography, and it struck a chord with the general public. His goal was to use images to communicate with the masses, and take photography exhibitions outside galleries. This was done in spectacular fashion with the publication of Untamed in ten languages for its first edition, and the staging of major outdoor exhibitions called Spirit of the Wild. The exhibition has been seen by millions of people in eleven European cities. In Copenhagen, more than 1.4 million visitors were officially counted during the five month run. His return to photographing people resulted in the book Living Africa, published in nine languages in its first edition. More recently, Trading Places - The Merchants of Nairobi is a book that features an engaging community and its street art. The large scale archival prints from the series reveal an unusual depth of colour, giving them a unique look and feel. Steve Bloom is an accomplished speaker, and lectures at venues such as the Edinburgh Book Festival, Oxford Literary Festival, The Guardian, The Royal Geographical Society, The Natural History Museum, IPC Magazines Seminars, Travellers Tales Festival, Bath Festival for Children's Literature, The Durham Book Festival, BJP Vision, Adventure Travel Show, Edinburgh Science Festival, Chichester Festivities, Focus on Imaging, Wild Photos, York Festival of Ideas and the Cheltenham Festival. Bookshops such as Waterstones, Blackwells, Stanfords and Borders have hosted his presentations. After dinner inspirational fund-raising talks have included The WWF and Save The Rhino. If you are interested in booking him as a speaker, please contact us. Download a list of selected published work.